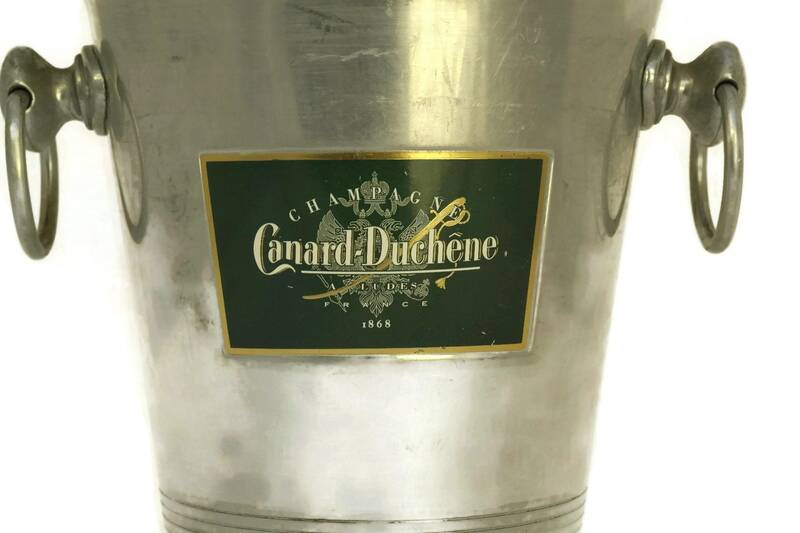 A vintage French champagne ice bucket for Canard Duchene champagne. 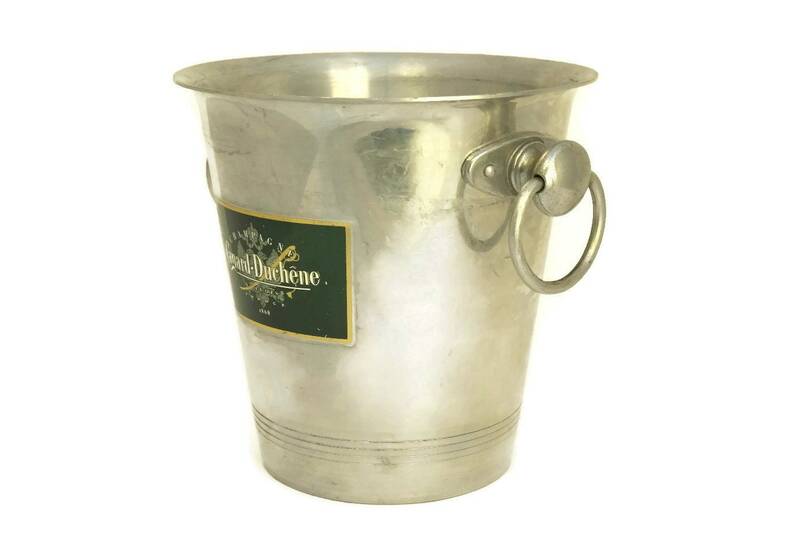 The aluminum metal wine chiller and cooler features ring handles and the bold champagne advertising logo on the front. 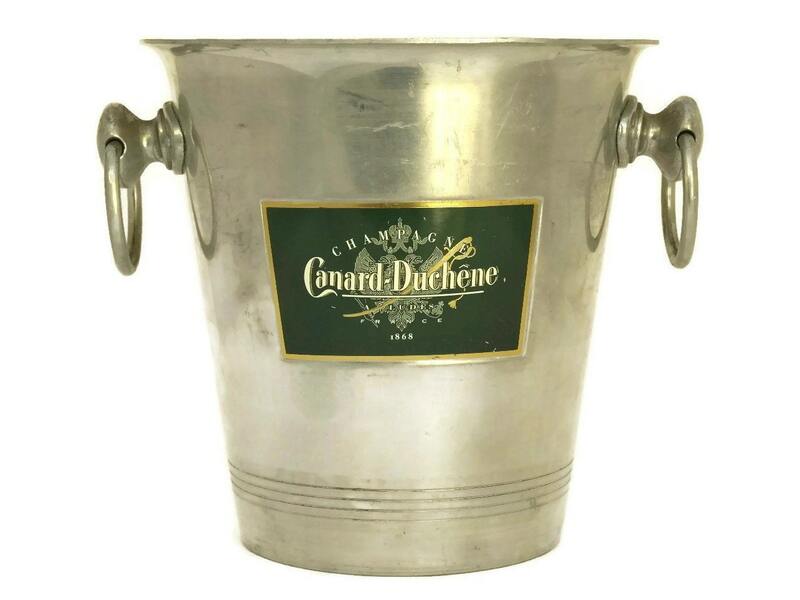 A stylish stock the bar gift or authentic French decor accent. 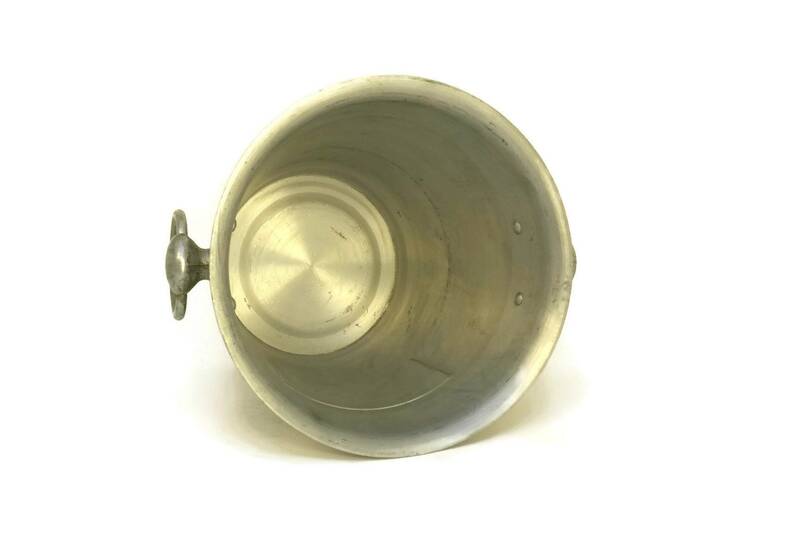 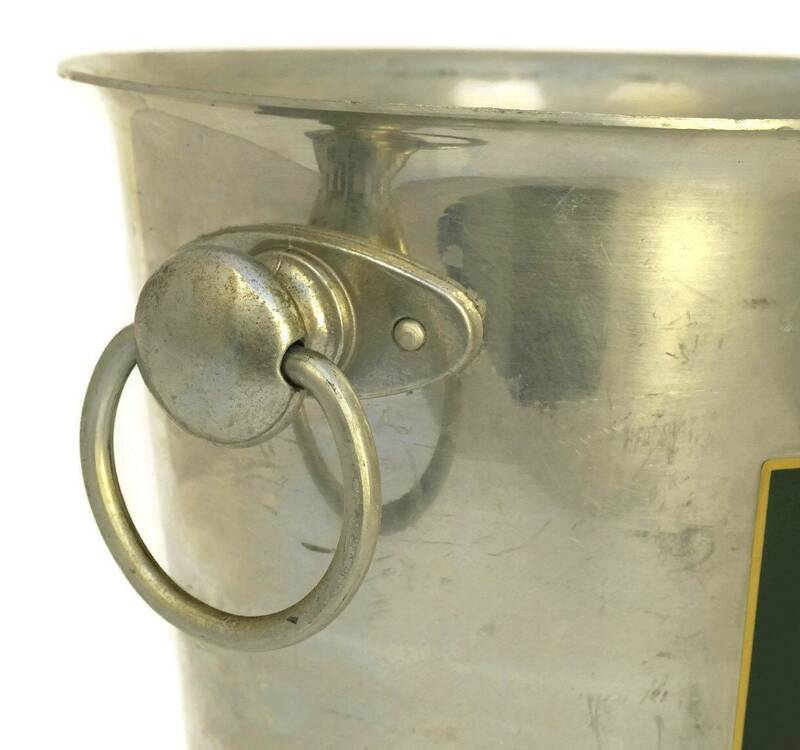 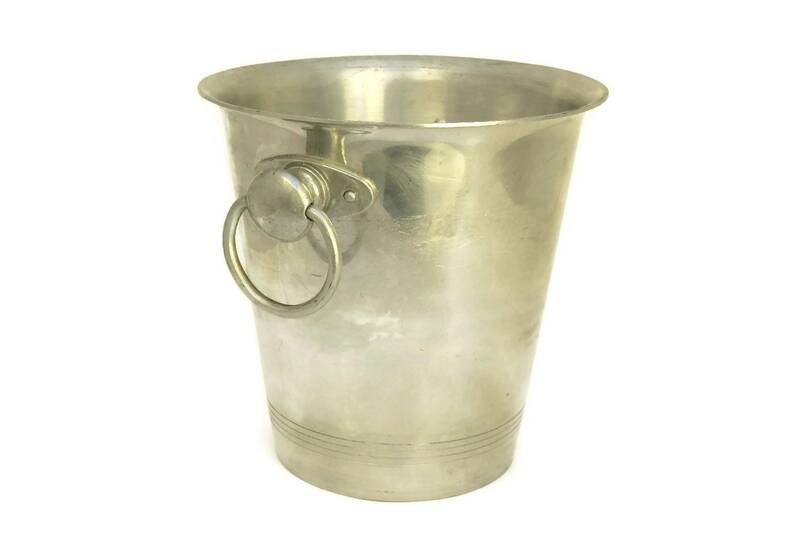 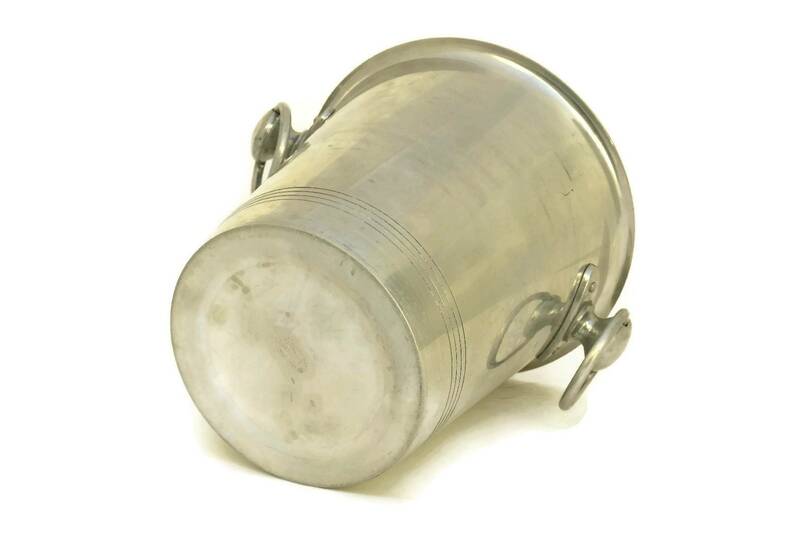 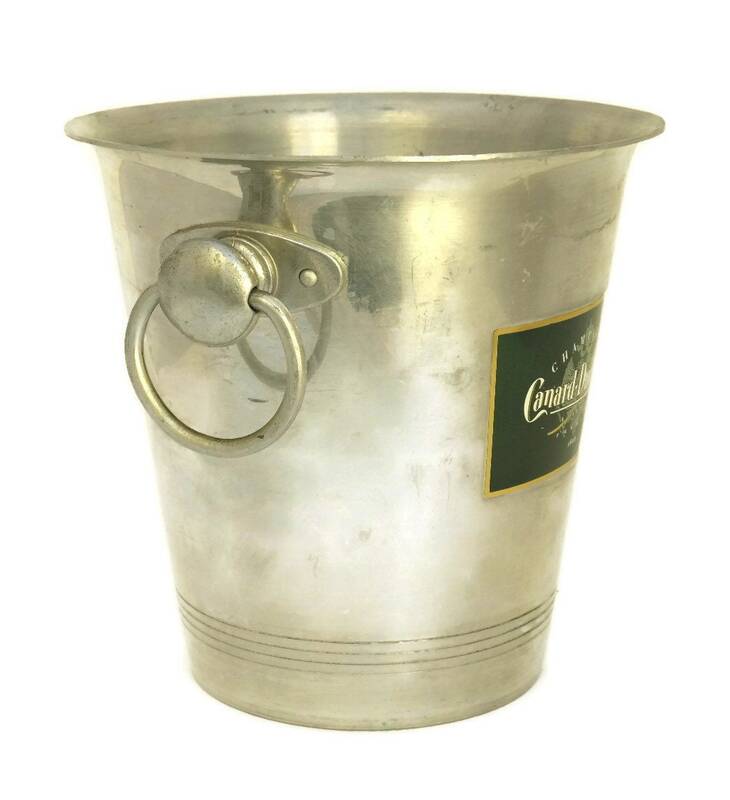 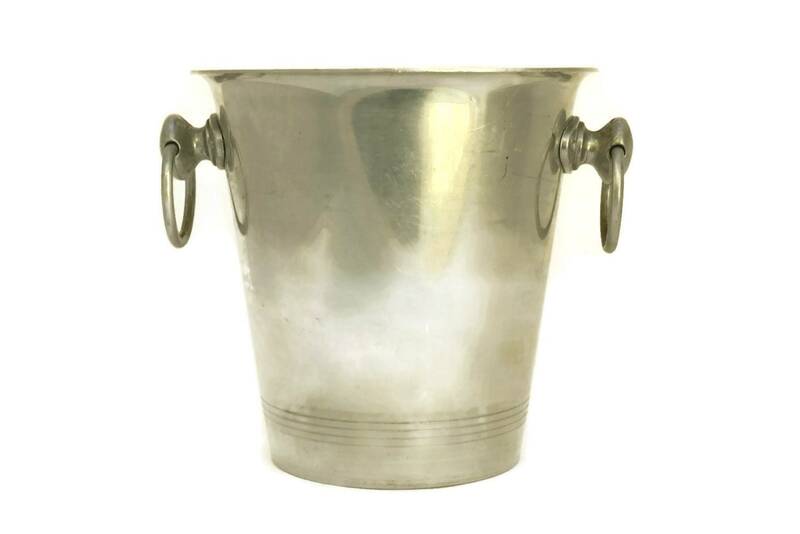 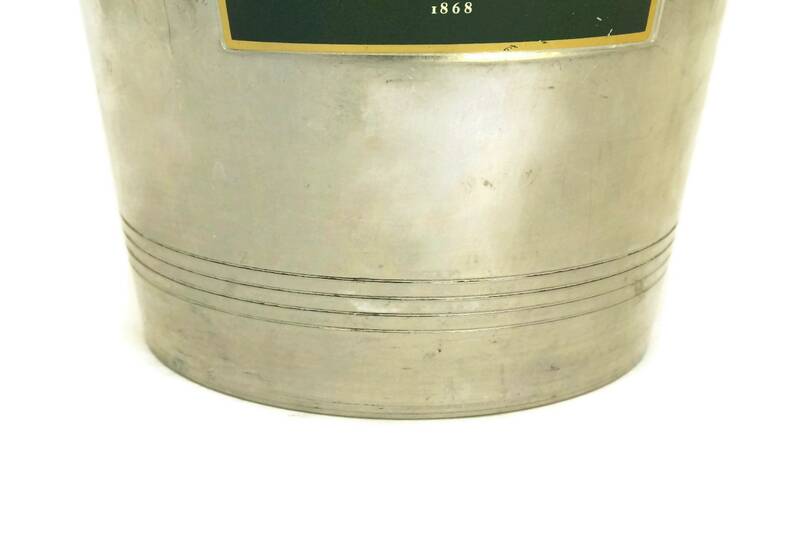 The champagne cooler bucket is in good condition with signs of age and wear including patina and light surface marks and scratches.